Birmingham Granulators Ltd of Tamworth, UK are pleased to announce a new agreement with Cumberland to sell, distribute and support the Cumberland range of size reduction equipment including granulators and shredders into the UK and Ireland. Re-kindling a relationship which started several years ago when Birmingham Granulators used Cumberland machinery on new projects, both companies have recognised that the combined experience and reference markets have vital roles to play in serving the UK market with machinery sales, service support and spare parts. The precision tolerance cutting chamber creates the industry leading regrind consistency and allows for smooth reprocessing. The high-quality output makes it easier to utilize the maximum amount of recycled material in your process. 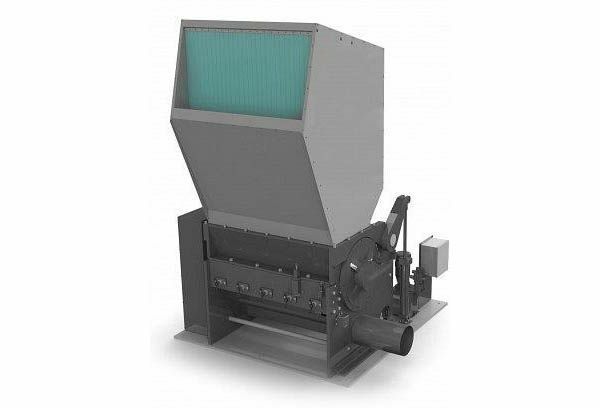 With a full range of size and design options to choose from, the T50 Series Granulator is the best choice for applications ranging from large injection or blow moulded scrap, furniture components and appliance parts. The tangential design offers the capacity to process many types of scrap with improved ingestion at a lower power requirement, while the offset design allows for higher throughput of lower density parts. Energy efficiency paired with heavy-duty design and ease-of-maintenance results in a granulation system with a low total cost of ownership. X Series granulators offer strong, versatile, reliable power and performance. With a full range of size and design options to choose from, X Series granulators are your logical choice for applications ranging from large injection or blow moulded scrap, furniture components, and appliance parts. • Made possible by the TwinShear™ “scissor cutting” action rotor design. • Uses lower energy consumption without sacrificing throughput performance. • Due to split chamber design, which raises the upper half of the cutting chamber, and lowers the screen cradle and discharge assembly via hydraulic cylinders. • Simplifies access for knife adjustments. • Air evacuation piping system does not need to be disconnected. • Configurations are available for many types of applications and client specific requirements. • Multiple options available for: Infeeds, rotors, cutting chambers, and evacuation systems. BTP Series Beside-the-Press Granulators offer solutions for processing edge trim, runners, and rejects in a compact footprint. BTP Series Granulators are offered in a range of sizes and throughput to deliver the right solution for your process. Birmingham Granulators Ltd continues to supply used machinery and offers overhaul and refurbishment programs as well as on-site breakdown and routine service visits. They also supply a full range of spares, including blades, screens, blowers, cyclones and pipework, together with a blade sharpening service. For more information contact Tim Aaronricks, Managing Director, Birmingham Granulators Ltd, on the below details.